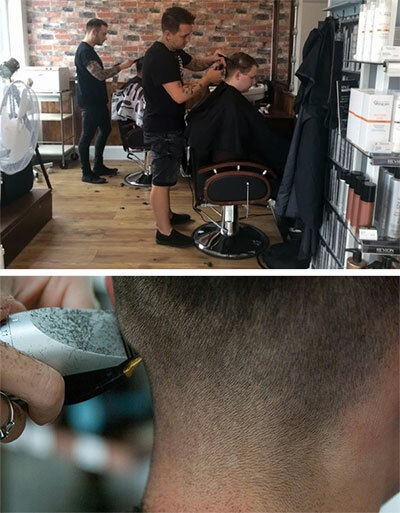 Take a look at our prices at The Inn Barbers and let us bring back to life the old tradition of barbering for you and the discerning gentleman by offering the full experience for our clients and offer hot coffee and refreshments with every visit. WHY NOT MAKE YOUR CUT AN EXPERIENCE? 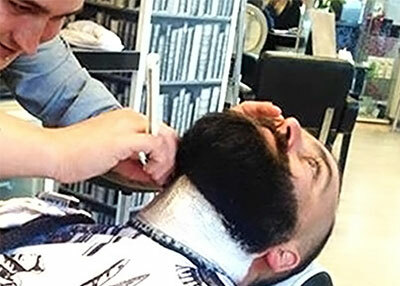 We offer a traditional hot towel shave service where you will be taken through our process to achieve the closest shave possible, as well as leaving your skin feeling rejuvenated and fresh. Our deluxe treatment includes a mini facial to prepare your skin before applying our shave cream, followed by a super sharp cut-throat razor to remove any unwanted hair down to the skin. We then apply our shave lotion for a calming effect and to moisturize your skin to leave it feeling soft, smooth and fresh. It’s a luxury experience! Appointments last a minimum of 40 minutes so make sure you clear some time. It’s important to indulge yourself now and then. We all know that life gets busy and this is why we offer a range luxurious treatment to help you unwind. Come on chaps…you can handle it! We are trained to minimise discomfort with a swift and expertly done waxing session. We use the most delicate and effective techniques to achieve expert hair removal so that you can get back to your busy life with minimum worry about unwanted fuzz. YES, it hurts a little when you wax and NO, the pain isn’t fatal - it will pass. YES, the hair does come back. NO, the hair won’t grow back more coarsely. If you can’t tone it…tan it! As well as a range of therapeutic Spa Treatments we specialise in male spray tanning. As well as allowing us to cheat unpredictable weather, a tan can hide a multitude of imperfections, make us less self-conscious when we hit the beach and even make us look a little buffer (as celebrity tanner James Read puts it, “If you can’t tone it, tan it!”).